Being a new(ish) resident of South Florida, hurricanes are still a new to me. Growing up in the midwest we had tornadoes, but it isn’t much you can do to prepare for a tornado besides getting downstairs. Last year, during Hurricane Matthew, was my first experience of a possible hurricane. I purchased water and food in advance. When the storm got closer purchased additional supplies. I was able to buy water and gas without any major delays. People didn’t seem to be nervous about the storm until 5 days until landfall. Then you started seeing long lines at gas stations and places being sold out of food and water. My sister and I left to Atlanta for Matthew. 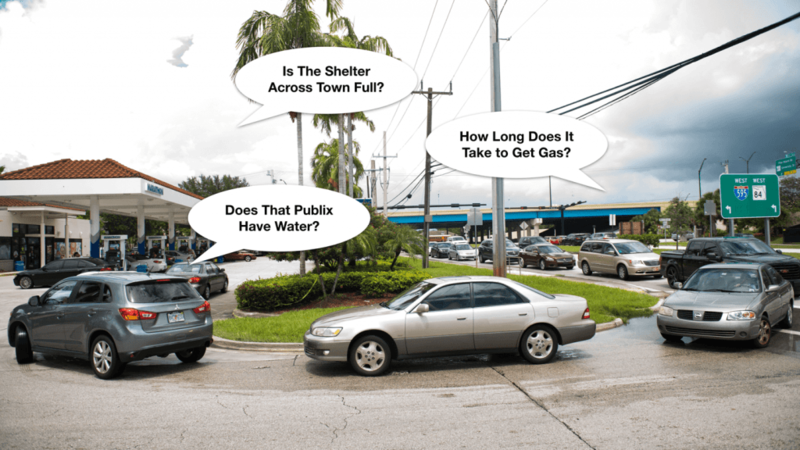 During the preparation of Hurricane Irma there was a different energy there was a rush to find resources like water and gas. Stores like Target and other grocery stores were sold out of supplies 10 days before the storm, and lines for gas happened shortly after. People were treating this storm differently. Irma was projected to be a category 5 storm just like Matthew but seeing the images from Houston after Hurricane Harvey people took extra precautions. I was able to get food and gas, but I wasn’t able to find any water. I tried going to stores early in the morning or visiting less popular locations, but I couldn’t find any water. At the time I thought about creating a website that let people share where resources similar to GasBuddy.com, but for resources. There was a lot of work to do to get my house ready for the storm, and I was still fixing bugs for Pickk NFL Play by Play Question Automation finished before the 2017 NFL Season. Hurricane Irma came through the Caribbean and shifted westward towards the Gulf Coast, so the east side of Florida was not hit directly. I stayed with a family friend and we were fortunate to keep power the entire time. Even without a direct hit, there was still a lot of damage, and a lot of questions: “Like does that Publix have power?” or “Where can I find tarps?”. I didn’t have a lot of time to reflect on the storm, because of the clean up around the city and getting back to work on my startup. So, I put aside my idea for a website for finding resources. Last weekend I participated in General Provision’s Hack Night. It was originally scheduled for September 23rd for the National Day of Civic Hacking but was postponed because of Hurricane Irma. With this interruption, the organizers used this major event to focus the theme of the hackathon on hurricanes. After Irma and seeing the devastation in Puerto Rico. I thought it would be great to build something that can help crowdsource the resources available at a single location. What if we could crowdsource a number of resources a specific location has? People who are at a single location can let others know “this Publix has a lot of water” or “this Home Depot is out of plywood”. We can capture those responses and show on a map where resources are available. When users are submitting information about resources we can also capture attributes about a single location. (“This store doesn’t have electricity” or “There are 37 empty spaces at this shelter” ) Finally, we can use the system to request resources. That way if all the stores are out of stock a person can request a resource and be alerted when it becomes available in a 10-mile radius. Visual representation of the system. Since this was a 24-hour event, it was important to focus on what could be accomplished. Using the data from Foursquare API we could get a location’s address, hours, and category type. That way we could focus on capturing and displaying responses. 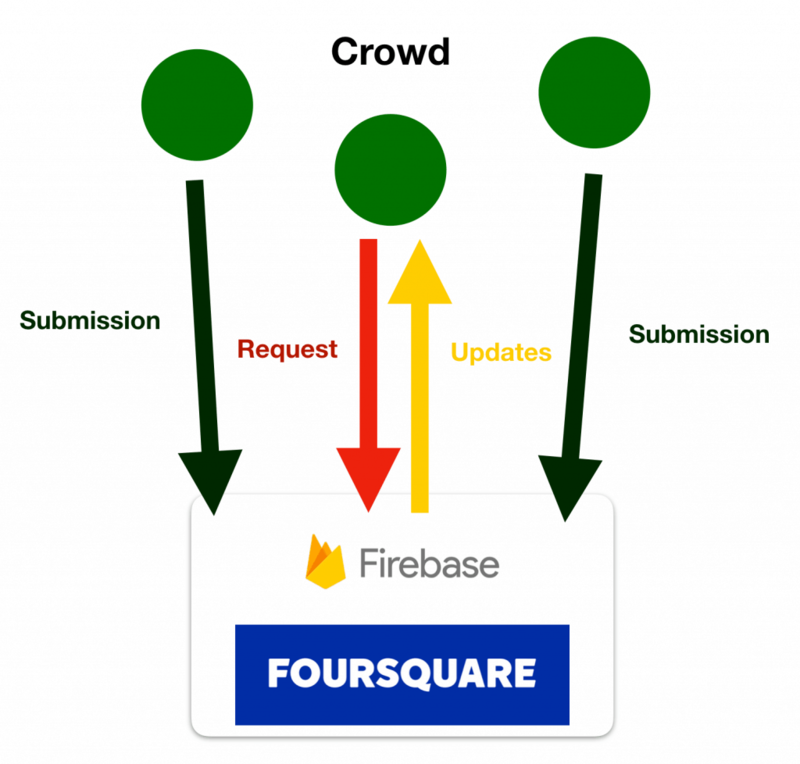 We would use FireBase database for storing the response information. If there was time we could build a Twilio system to let people text their Zip Code and resource keyword to find nearby locations. This could work for low data or non-smartphone users. Working with two backend developers and a front-end developer we were able to develop a Minimum Viable Product during the hackathon. Users can filter locations that might have a resource like water based on the location’s category type. They can update if that location does or does not have water and how much is in stock. The information is captured and time stamped then filterable for other users. 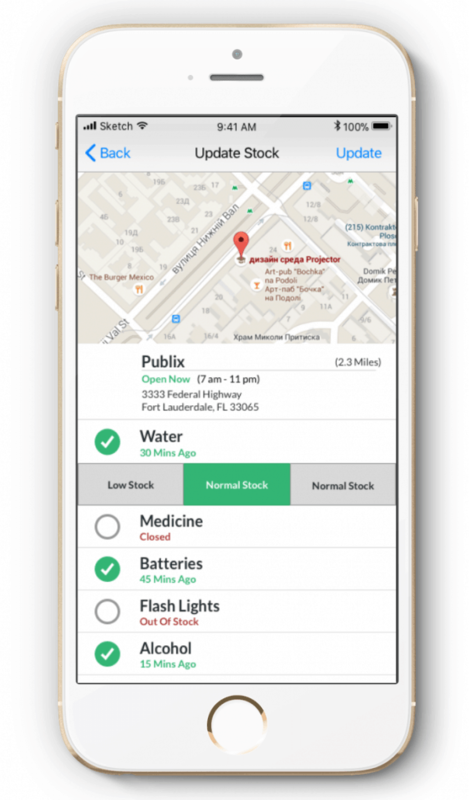 Users can also update the attributes of a location like “Status of this location” or “Does this location have backup generators?”. Finally, an initial Twilio code was written to send text messages back to users. It helps people find the resources near them. Where can I find tarps? Let’s city officials / electric companies know where the problems are. Single houses could be updated with different attributes. Electricity could be “working” in an area, but users could still be having issues. Allows others outside the direct area see what is happening. Nursing homes could update their status or share if they have power/back up energy. This project is Open Source on Github and can be used for before or after any type of disaster. The hope is to be able to share information about resources and location status with each other using technology. I live in Pompano Beach Florida. In two years I have lived here I have noticed the area is changing and upgrading, but because it’s not really a dense area it’s hard to see the changes. I think this area has a lot of opportunities to grow and become a great community. While there is a lot of opportunities, there is a very real chance it could be developed poorly. This could cause the area to be less walkable than it currently is. It can also cause even more gentrification and push working-class families out. 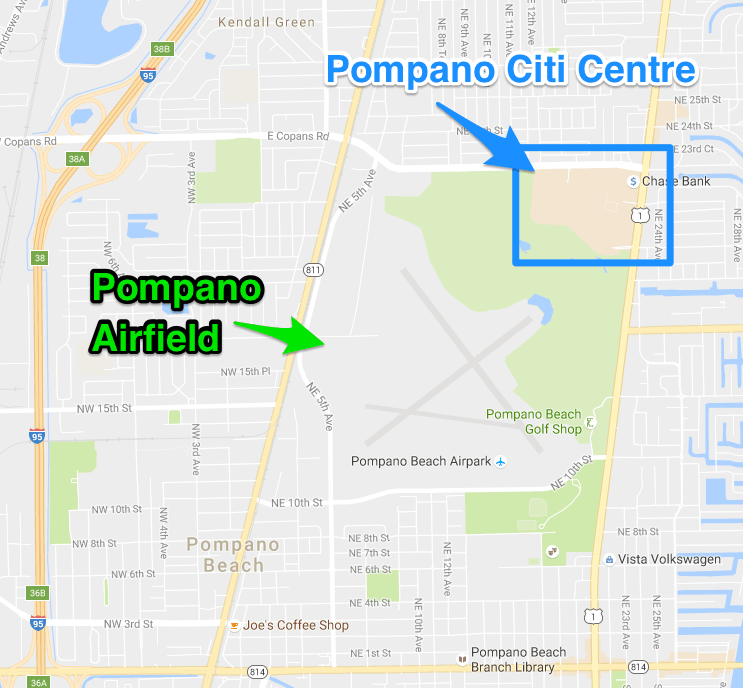 One area that I think could be redeveloped and have a huge impact on the community is Pompano Citi Centre. Pompano Citi Centre has been around for decades and been redeveloped every 15 years. It was built in the 1970’s as an enclosed mall, experienced struggles in the 90′ and then was redeveloped to be an “open” mall in early 2000’s. One thing I really enjoy in my free time is biking. Biking is difficult in Pompano Beach and most serious biking is done on A1A (highway along the Atlantic Ocean coast). Long bike rides are one of the biggest things I miss about living in Lincoln, NE. In Lincoln, I could bike 20 miles on great bike trails with only a few interactions with cars. 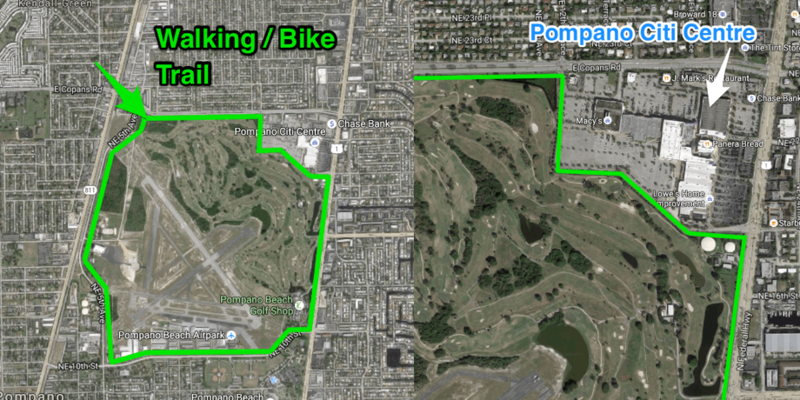 Since Pompano Beach has more density then Lincoln there are fewer bike trails. There4.5-mile5 mile walking/bike path around the Pompano Beach Airpark. Best way to bike in Pompano Beach. 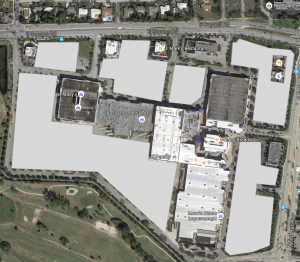 The mall is surrounded by huge parking lots that sit empty the entire year. There is not enough business to support this much parking. The only people who use the parking lot are the Pompano Beach Police for some driving exercises. This area could be redeveloped to be a mixed-use city center like the name suggests. Adding townhouses, offices, and more businesses it could be a great place to live, work, and shop. I will be writing about how I think the area should be redeveloped. I am a big fan of Tim Ferriss, I have read most of his books and listen to his podcast regularly. One of the things he advocates for is to use an “anti-charity” to achieve your goals. The idea is that you promise to donate to a charity that you hate if you do not complete a goal. There is psychology behind this with our brains focus on avoiding losses rather than gaining. For me I want to start waking up earlier, so I can get more done in a day and have a more regular sleep cycle. I have planned to use this model of encouragement for awhile but I felt there wouldn’t be a successful way to monitor it without getting a personal assistant. There are solutions like Stickk (great name, almost as good as Pickk 😉 ) but they dont automate the location part. Luckily I found a solution that helps to automate this. 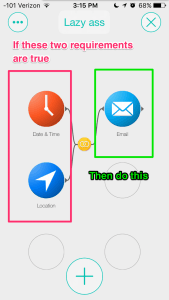 Stringify allows you to build simple “flows” that trigger events. The user interface is pretty simple. You are able to build some logic based of things on your phone. On the left is my “Flow”. Send an email to donate $50 to Donald Trump for president. I would really not like to donate money to Trump’s campaign. It would be embarrassing after creating Coders For Sanders and it would put my name on a list that would get me unwanted mailers. The system is currently only sending an email it’s not doing the automatic donation. I plan to have a friend do the donation part, that way if the system messes up for whatever reason my friend can ask before submitting the donation. Is there a better way to achieve goals? Let me know what you think. Leave comment below to share the knowledge! 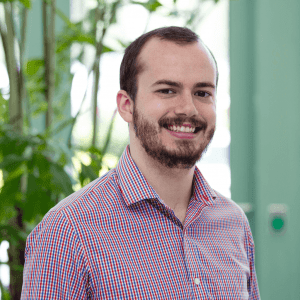 Founder of Pickk an interactive sports app that lets you predict what happens next while watching live sports. I have a passion for Entrepreneurship and technology to create big ideas.